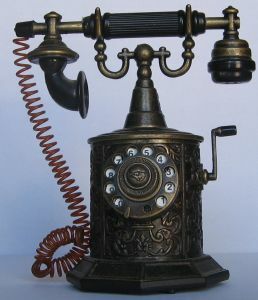 THE VIRTUAL VICTORIAN: SO, WHO DID INVENT THE TELEPHONE? SO, WHO DID INVENT THE TELEPHONE? 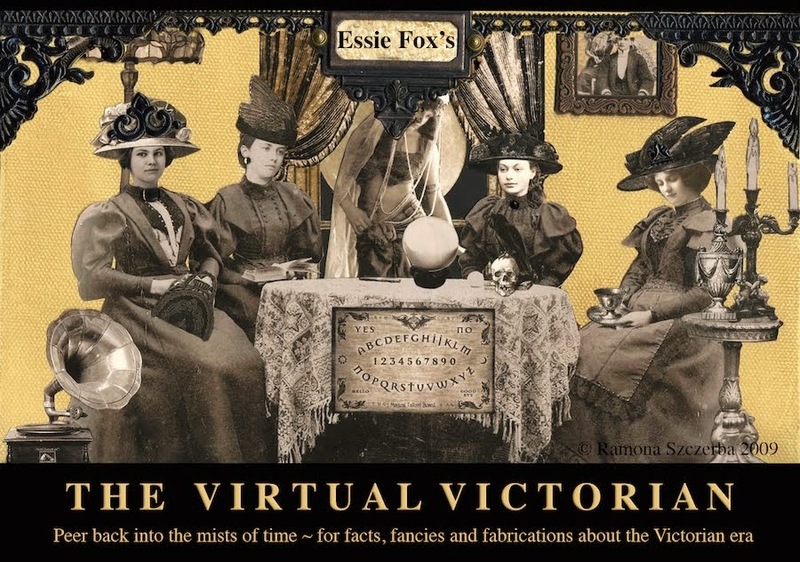 From time to time, the VV will explore some inventions born of the Victorian age, many of which we now take for granted, never imagining how they might have come about. 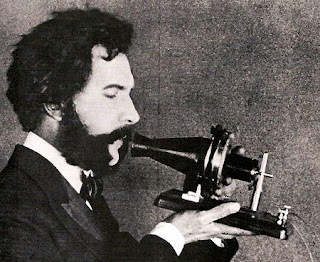 Let's start with the telephone - and the common misconception that it was invented by Alexander Graham Bell. It is true that Bell, a teacher of the deaf-mute who worked alongside Helen Keller, was experimenting with forms of electro-audio stimulation. It is also true that he filed a patent for a machine that could transmit sound via undulating currents through vibrating steel rods. A lucrative deal was soon struck with the Western Union Telegraph company who linked his device to existing telegraph wires - causing a sensation when the usual Morse code system of dashes and dots was expanded into a harmonic blend of 'notes' through which Bell's voice could be heard reading and singing from miles away. And that, historically, was that...except that it wasn't because, once upon a time, there was an Italian by the name of Antonio Meucci who happened to live in America, and who happened to share a laboratory with Alexander Graham Bell. 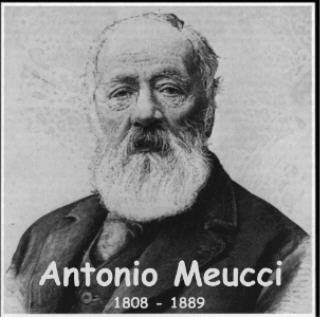 Meucci studied mechanical engineering at the Academy of Fine Arts in Florence. While in Cuba in the 1830's, he worked on a means of transmitting electricity through copper wires to treat sufferers of rheumatism and discovered that, even when in the next room, he could hear what the patients were saying. Later, when living in Washington, Meucci's wife became bedridden and he employed the same technique to communicate with her from his workroom. In 1860, Meucci demonstrated his 'Talking Telegraph' in New York. However, he was unable to secure any financial backing, and was too poor to afford the $250 needed to patent his 'teletrofono'. Ironcially, he sent details to The Western Union company who claimed the material had been lost - only then to sign a deal with Bell when he patented his own machine in 1876. Meucci was outraged and began proceedings to sue Bell for fraud, but the legal case was abandoned when the Italian died before the case could be heard. 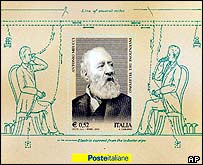 Nevertheless, he has not been entirely forgotten and, in 2003, an Italian postage stamp was issued to officially recognise Meucci for his contribution to the science of telecommunication. Labels: TELEPHONE. ALEXANDER GRAHAM BELL. ANTONIO MEUCCI. What no mention of Johann Phillip Reis? Thanks, Thony - I wasn't aware of Reis. This didn't really help me with my homework..... but it's alright, well done for trying, I guess.